One of the toughest dog harnesses we have ever seen. 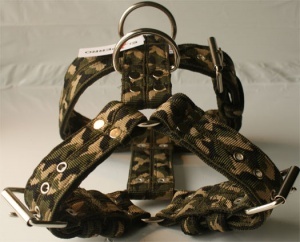 Handmade by El Perro, the harness has 5cm wide straps with all joins reinforced by stainless steel rivets. 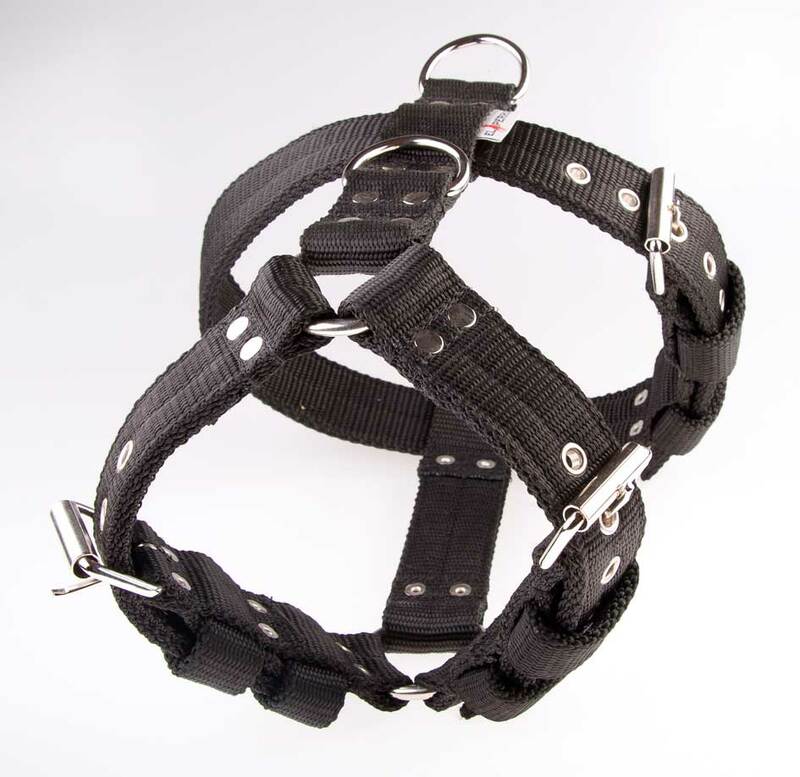 Made from triple-layered Polypropylene, this large dog harness has two stainess steel D-rings for extra security. All hardware is forged and rust-resistant, and the harness is very suitable for even the largest and strongest of dogs.